The Group operates in complex environments thanks to its certifications and approvals, which correspond to the highest standards of hygiene, safety, environment and radiation protection: MASE-UIC, CEFRI, AFNOR Asbestos, Qualibat technicality confirmed. We regularly update our regulatory watch and all of our Quality, Safety, Radio-protection and Environment standards. We constantly train our staff so that each site meets our commitments scrupulously. The company’s management meets monthly to discuss the measured results (indicators, audits and feedback) and to decide on the actions of continuous progress to implement. Contribute to the improvement of the prevention of work-related hazards in nuclear installations and, more generally, in installations where there is a risk from ionizing radiation and in particular in the field of radiation protection , Enable companies involved in the nuclear markets to demonstrate objectively the preventive actions they carry out, Improve their access to European and international markets for nuclear power companies. – the quality of high-durability coating systems, – the qualifications of the staff who implement them, – the qualification of the inspectors responsible for supervision. – contracting authorities, – manufacturers of protective coatings, – applicators, – technical bodies. MASE is a management system whose objective is the permanent and continuous improvement of the performance of Health and Safety. Improve safety through a management system adapted to the company. Better organize, better communicate, improving the conditions for employee intervention. Set up a common language in order to progress together. 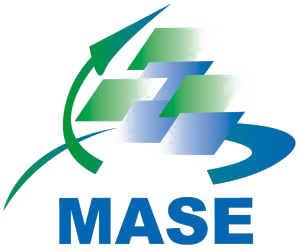 MASE is a grouping of associations of the “1901 law” type whose members are the user companies and the companies involved. MASE is a repository. It is a basis for reflection which allows the company to better structure its HSE approach by exploring the five axes advocated. MASE is also a recognition system: certification. The goal is to perpetuate the safety management systems by periodically analyzing the results of the companies and the attribution of a certification by the regional steering committee after carrying out an audit entrusted to a selected external body. Certification is granted for the MASE-UIC joint system following an agreement signed on December 20, 2007 between Alain Devic UIC President and Serge Kéroullé President of the MASE National Association. Today, QUALIBAT has nearly 33,000 construction companies of all sizes and all specialties meeting quality standards. Each QUALIBAT company is selected on the basis of its ability to carry out work in a given activity and regularly monitored administratively, legal and financial. It is a guarantee of excellence for all contractors, both public and private. Whatever their qualifications, QUALIBAT companies meet the requirements of competence and reliability that you are entitled to expect for the realization of your work. They propose adapted technical solutions and commit themselves to carry out your projects in accordance with the budgets, the deadlines and the required quality. Choosing a QUALIBAT company means making the right choice, in all serenity. All qualified companies benefit from QUALIBAT’s great reputation and the seriousness of its brand: qualification is synonymous with technical competence; The blue pyramid is its distinctive sign. Proof of this is the recognition of insurance, which does not hesitate to grant to QUALIBAT companies a reduction in premiums of up to 30%. Another indication of this trust is the reference to the activities, specialties and technicalities of the QUALIBAT classification to define the categories of works in the framework of public and private tenders. Because sustainable development is a major concern for the future, QUALIBAT and its partners are committed to promoting the environment. With the new “Renewable Energy” and “Energy Renovation” certifications, as well as the “Energy Efficiency” label, which now accompanies qualifications related to the envelope and technical equipment, QUALIBAT provides an appropriate response to the challenges of the Grenelle of the environment. Each company certified or qualified in the field of renewable energy, energy efficiency or energy renovation is able to provide its customers with information on the technical and economic value of the solutions proposed, as well as on the possibilities for financing. Choosing AFNOR Certification means choosing the first certification and evaluation body for systems, services, products and people in France. Whether it is to evaluate its performance, to recognize the quality of its organization, its products, its services or the skills of its teams, with more than 500 products, the AFNOR range Certification is one of the most comprehensive in the market. It is notably found under well-known brands such as NF, CE, AFAQ (AFAQ ISO 9001, AFAQ ISO 14001, AFAQ 26000 …) and the European Eco-label. AFNOR Certification offers a real service of proximity thanks to its thirty branches on the 5 continents, its French regional delegations and its 1,500 qualified listeners. Established in 1958 under the patronage of major public and private contractors, the OHGPI endorses the contractual anti-corrosion and aspect guarantees given jointly by the applicator and the manufacturer after a careful examination of The file H. This file summarizes all the parameters of execution of a protection by coating of each site giving rise to guarantee. 2,000 cards processed each year, 50 years of references, the massive gathering of professionals concerned (200 members today including 150 entrepreneurs and 50 manufacturers) are the assets of a well-controlled job! To master the craft, both for new works and for maintenance To ensure that deficiencies are eliminated when simple rules, accessible by non-professionals and controllable, are respected Set high quality objectives And thus give confidence and reliability to the client in choosing the solution Metal + Coating. Created in 1953, the Group of Industrial Coatings applicators unites the majority of Coating companies devoting their activities to industrial anticorrosion coatings. The GEPI represents and values ​​the profession of anti-corrosion coating. The GEPI contributed to the organization of the anti-corrosion sector with the OHGPI, the FIPEC (anti-corrosion grouping) and the ACQPA. The GEPI is involved in the field of anticorrosive industrial coatings at the level of reference systems such as the fascicle 56 (public market), and the support of maintenance, maintenance and industrial maintenance of production sites. The lack of maintenance and industrial maintenance by industrial anti-corrosion coating has consequences on safety, image and living environment. Combating corrosion by industrial anticorrosive coating in an industrial maintenance and maintenance project is the struggle of the Group of Industrial Applicators.